Frugal Friday Travel: Washington D.C. — Ends in Style. Frugal Friday Travel: Washington D.C. When you think of Washington D.C., affordable travel may not be the first thing that comes to your mind. In a city where the sales tax is 10% and the cost of living is an all time high, Washington D.C. is one of the more expensive places to live in the U.S. It is not, however, an unattainable travel destination. With more free museums, monuments and activities than you could do in a week, D.C. is a great destination for all ages. A couple of weeks ago I had the opportunity to visit D.C. and enjoy the city on my own leisure. Carl was there for work, so I decided to take advantage of the free hotel room, caught a flight and treated myself to a quick weekend of museums and shopping. Unfortunately, Carl ended up working all but one day that I was there, but thanks to the fact that D.C. is a walking city full of museums, cute coffee shops and bookstores, I had a wonderful time with me, myself and I.
I arrived Friday evening and took an Uber from Reagan International Airport to the Holiday Inn in Georgetown, for about $15.00. Nothing glamorous, but this hotel is located right in the heart of Georgetown and reasonably priced, relative to the area. Saturday morning I woke up early and headed straight to Susie's coffee shop recommendation; Baked and Wired. It did not disappoint. 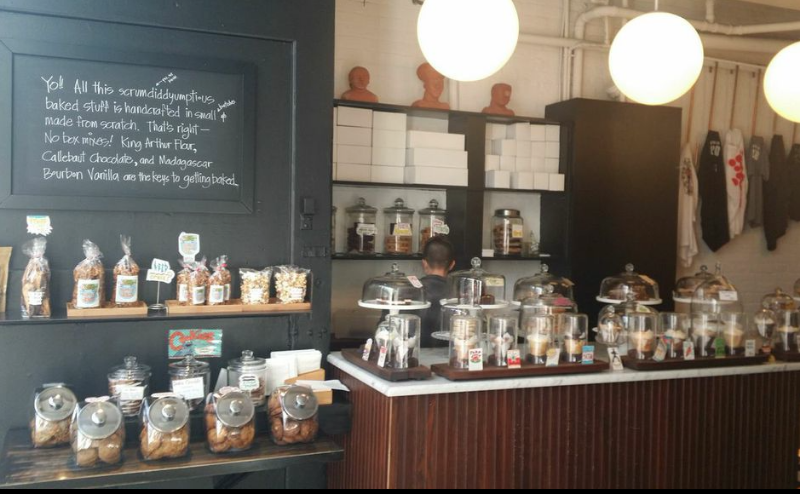 They had all kind of great freshly baked treats and delicious coffee. I decided to stay healthy since I had plans to see a lot in one day and get the steel cut oats with fresh fruit compote and a soy latte. I took my loot down to the river, which is just at the bottom of the hill and enjoyed it overlooking the beautiful water. D.C. is a true walking city and there are trails everywhere, including along the water. The scenery is great and the architecture makes it such an interesting stroll. Georgetown has more to offer than great coffee and walking, the shopping is endless. Any store you can imagine is on the main drag, M street. I enjoyed a day of shopping and sightseeing, stopping for some of the best bubble tea I have ever had at Little Penguin. That night we enjoyed a delicious dinner in Georgetown on the river at a reasonably priced farm to table restaurant called Farmers Fishers Bakers. It was delicious and the interior was really unique. There have been so many improvements in the last 5 years to the D.C. area. It is truly a tourist destination. Carl finally had a day off and we took the nice long walk from Georgetown all the way to Union Station. It's a long walk, but by the time you grab breakfast, talk and sightsee along the way, you're there. Then we headed to the museums, which are all located along this huge stretch of green space called The Mall. 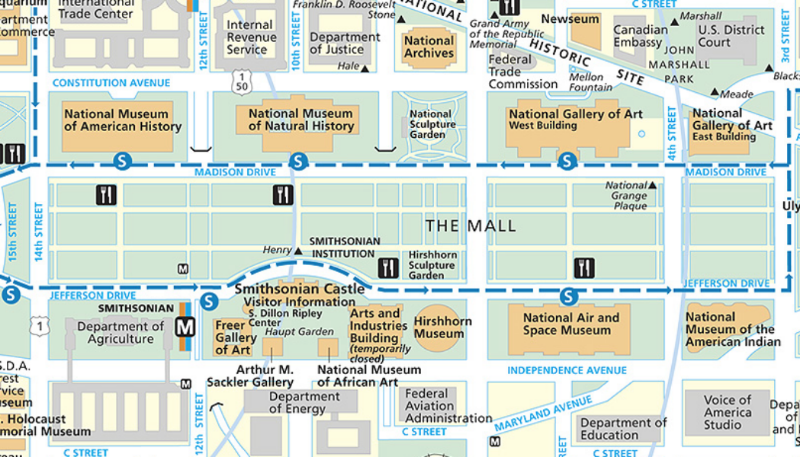 You could spend days on The Mall hopping from museum to museum, monument to monument. ALL of the museums are completely free so you can come and go as you please. 1- The National Museum of Natural History, it's like a synopsis of every species you could possibly think of... days could be spent here, plus it feels like you are in that movie Night at the Museum. 2- The National Gallery of Art (East and West Buildings), classic pieces of art from all eras. 4- The National Sculpture Garden, such a great outdoor sculpture collection! 4- The Hirshhorn Museum of Modern Art, great classic and new pieces of modern art. Always so many fun photo-ops in a modern art museum! Don't forget to walk around the building and check out the awesome sculpture garden. 5- The United States Botanic Garden, beautiful building and the flowers are pretty too! There were these awesome replicas of all of the monuments on display throughout the gardens. We'd had long, fun day of walking, but still wanted to see more so we decided to try out D.C.'s bikeshare program. It is pretty awesome, with lots of stations to pick up and drop off. We finished up our sightseeing along the many trails of D.C. dropping our bikes off less than a block from our hotel. After a nice long nap, we finished our evening at the famous Clyde's late night Happy Hour after 10pm. The food is delicious and during Happy Hour the prices are great! All in all the weekend was wonderful and I can't wait to go back and explore other neighborhoods that I didn't get a chance to visit.